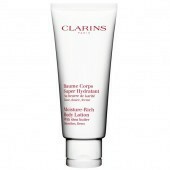 The Clarins Double Serum is the complete anti-ageing serum. Clarins Double Serum is a Complete Age Control Concentrate formulated to help work on the 5 vital functions of the skin for a more youthful and radiant complexion. Now containing 21 active plant extracts including new star ingredient turmeric, distinguished for its exceptional anti-ageing properties. 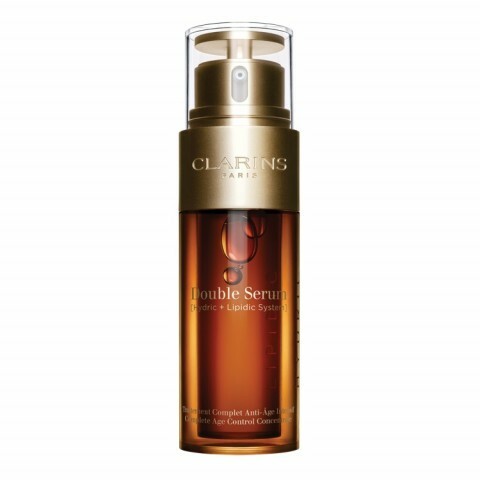 Clarins Double Serum acts on the appearance of major signs of skin-ageing, skin is more radiant, firmer and fine lines are smoothed. The new innovative bottle delivers a made-to-measure dosage of the serum, thanks to its rotating push button. Suitable for all skin types, this liquid serum is a must-have. How to use: Mix the serum in the hands, then apply the serum to the face and neck every morning and evening before your usual cream. Katafray bark extract, hyaluronic acid : moisturising. Maritime pine extract, musk Rose: oxygenise the skin. Clarins have just made their wonderful serum even better by enlarging the size but keeping the price low!I love this product! My skin looks so much fresher and the wrinkles don't show now!! The Serum has made a fantastic difference to the appearance and feel of my face and neck. Now buying the larger size as it's more cost effective. Would recommend it especially for more mature ladies like me.